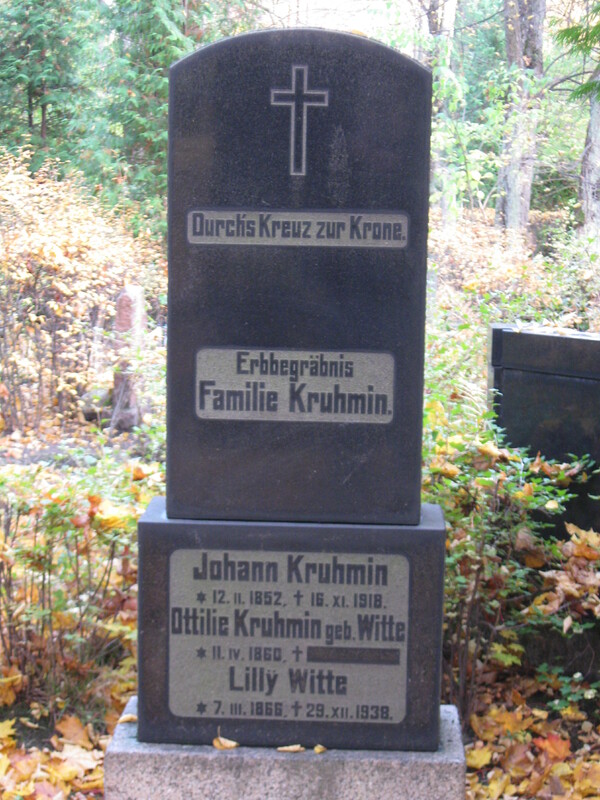 Inscriptions on tombstone are in German and old Latvian orthography, translation and transcription in modern orthography is mine. I have to wonder what happened to Otīlija. I’m guessing that there isn’t a 151-year old woman somewhere in Latvia – that would be a record! What happened such that she wasn’t buried with people who look to be her husband and sister? While “Krūmiņš” is a very Latvian name, “Witte” sounds more German. Was she an ethnic German? If she outlived her sister Lilly, maybe she was one of the ethnic Germans that repatriated to Germany at the outset of the Second World War? Did she remarry and was thus buried with her new husband? Questions abound!